Learn how to quilt with your embroidery machine! Required for this class: Edge To Edge Quilting on Your Embroidery Machine Book (with design collection. Your quilting choice will need to be loaded on your machine or jump drive prior to class). 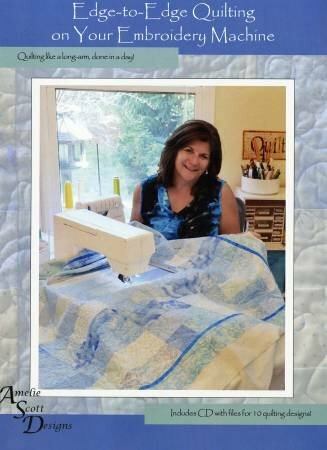 This method can be used to add continuous quilting to your quilt projects. 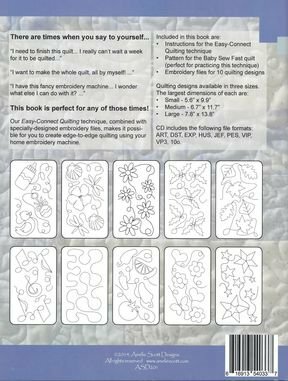 It can also be used to add quilt backgrounds for embroidery.